Now is the time for those who want to get into Illinois' new medical marijuana business. Starting Monday, the state's Medical Cannabis Pilot Program will accept applications from those wanting to cultivate and dispense medical marijuana. They'll have just two short weeks to submit a lengthy application, which is due by Sept. 22. Competition could be fierce since the medical marijuana movement is gaining traction across the nation. Illinois legalized medical marijuana in January. The state only will give licenses for 22 cultivation centers – one for each Illinois State Police district and the Illinois Tollway – and 60 dispensaries, said Melaney Arnold with the Illinois Department of Public Health. At this point, she's expecting the number of applications to be double, if not triple, the number of licenses that can be granted. "We will get to look through the applications we receive and go for the best ones," she said, not knowing how soon the licenses might be granted. There's certainly interest throughout the Rock River Valley, but just one cultivation center will be allowed in District 16 – which includes Boone, Jo Daviess, Stephenson and Winnebago counties. In Stephenson County, The MedFarm's company executives have discussed plans for a cultivation facility, including a would-be greenhouse, potential jobs, security system and the benefits of their product. The MedFarm of Winnetka is one of four medical marijuana companies that have signed a purchase agreement with Stephenson County to buy land for a cultivation center. Empyrean Cultivation LLC of Stephenson County, Wyoming-based Deerpath Development LLC and Ottawa-based In Grown Farms LLC also have a stake in the proposed site south of the Titan Tire Plant on U.S. 20 known as Mill Race Crossing. Boone County officials will vote this month on whether to amend zoning ordinances to permit cultivation centers and dispensaries in light industrial areas. County Board Chairman Bob Walberg said he's open to the cultivation centers and dispensaries as long as there is "a site that is suited" for such purposes. 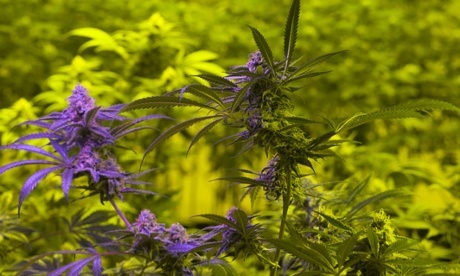 And in Winnebago County, Board Chairman Scott Christiansen has co-signed letters with Machesney Park Mayor Jerry Bolin and Rockford Mayor Larry Morrissey indicating their communities are suited to have dispensaries. Sent to the Illinois Department of Financial and Professional Regulation, the letters mention the region's hospitals, pharmacies and health care facilities. "Put simply," the letter stated. "This community is already a strong regional draw. In that context, housing both the two allotted medical cannabis dispensaries in the greater Rockford region, one within the city of Rockford, and one more northerly in Machesney Park, makes a great deal of sense." "We have everything in place," Bolin said.